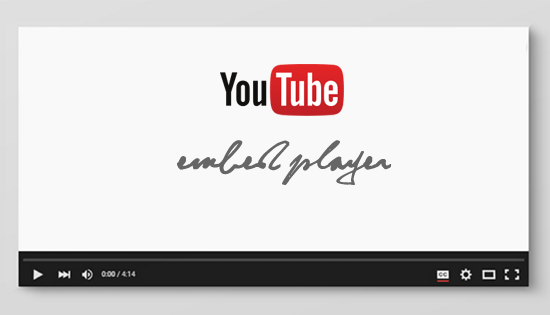 The post explains how to customize a YouTube embed player by using YouTube defined parameters. Nowadays most of the web developers using embed <iframe> tag for displaying videos, this improves your web project playback experience. You can stop displaying related videos using the rel parameter or removing the YouTube logo on player by using modestbranding parameter, hope this will enrich your web project experience. You can automatically play video using this. Using this parameter you can stop showing the related videos, when the initial video ends. Show video information like the tile and uploader information. 2->Controls are displayed and flash player loads once the user initiates the video. You can use multiple parameters in following way. very cool! Ready to add these right away. Tnx Siri the great! how to disable related videos.? Thanks a lot for clarifying all these... Very useful! rel=0 is not working in my site what's the problem ? Hey! Nice to see all the customized options at one place. Awesome share, I like it so much. thanks for it.